Home » Blog » General » The Book – why and how I wrote it. The Book – why and how I wrote it. Writing the book was a natural evolution for me after all my years posting stories about Tom Crean to the supporters of the Facebook page and group I created. I’d known about Crean from a young age as my family has, and still has, strong connections in Annascaul. My father, from Keel, Co. Kerry, worked in Annascaul when Crean was still alive and Dad would often stay over at his sisters near the top of the village – my cousin and his family still live there today. The South Pole Inn was the first place that roused my interest and then I came across an account of Crean’s heroism in an article written by Denis Barry in the Capuchin Annual of 1952. It was mesmerizing and I couldn’t believe such a man existed – it was all the better that he was born in a place I knew well. Like everyone else I witnessed Crean’s story slowly coming out of the shadows in the 1990’s until it reached a peak around the millennium with the release of Michael Smith’s book – An Unsung Hero, the iconic Guinness advert and later Aidan Dooley’s brilliant performance of Tom Crean. 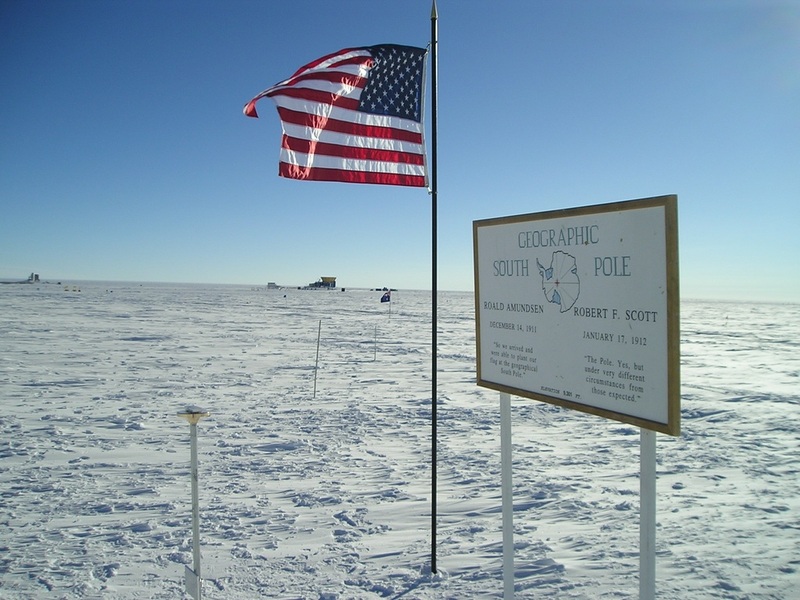 A statue, privately funded, was erected facing the South Pole Inn at the height of Crean’s new found popularity back in 2003 and then a continuum ensued. There were no politicians or leading lights calling for greater recognition and Tom Crean’s story became a legend consigned solely to social conversations. Sure, everyone seemed to revel and take pride in a fellow countryman undertaking unparalleled acts of heroism yet that’s about as far as it went. I won’t go into the story of how the idea for a campaign for his national recognition came about as it’s all detailed in the book but we’re now at a point where we are waiting on a government decision to provide Crean the official state recognition that he deserved long ago. Modern Ireland has matured since the days when there was little appetite for or interest in, a hero associated with the British establishment but to understand the era Tom Crean grew up in, is to understand that all that was needed by most Irish people at that time was a way to earn a living. That reason alone is why Crean sought better fortune at a time when his only other option would have been a life spent in poverty. He was a proud Irishman and an Irishman to take pride in and I have great optimism that the Irish Government’s decision will be to name the planned naval flagship in his honour. This will finally provide Tom Crean the honour he deserves from the coutry he loved. I decided, in 2017, to write a book for two reasons, the first being that there was still a world of people unfamiliar with a story of huge inspiration that they are being denied and secondly, if it helped increase support for the campaign, then it had to be written. And so my journey began. Visits to London searching through National Archive records, Trawling through internet and news archives anywhere I could to uncover more information about Tom Crean. Speaking with relatives of those he knew to try and obtain as much information as I could and I did. I liaised with archivists wherever I could find them – the Falkland Islands, Australia, New Zealand, South America, England, Scotland, Wales and of course, Ireland. All of these respected, expert archivists helped me to be able to tell Crean’s story. 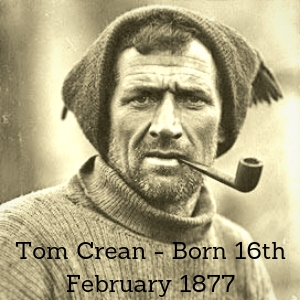 It did feel at times, as if I was discovering his story for the first time as I unearthed hitherto unpublished information on Tom Crean and imagine my delight, after ten years of posting stories and images of Tom Crean, to discover two images that no-one in the current generation will have seen. Grainy they may be and there’s little can be done to enhance them but these two images were an absolute joy to find and their value is in the authenticity of the era they were first seen in. Aside from his expeditions, Tom Crean’s well-traveled Navy career took him across the globe and there were very few places in this world that he had not set foot on. His travels took him across most of the countries of South America, he was active in Russia, Australia, New Zealand, Africa and the list goes on and on. 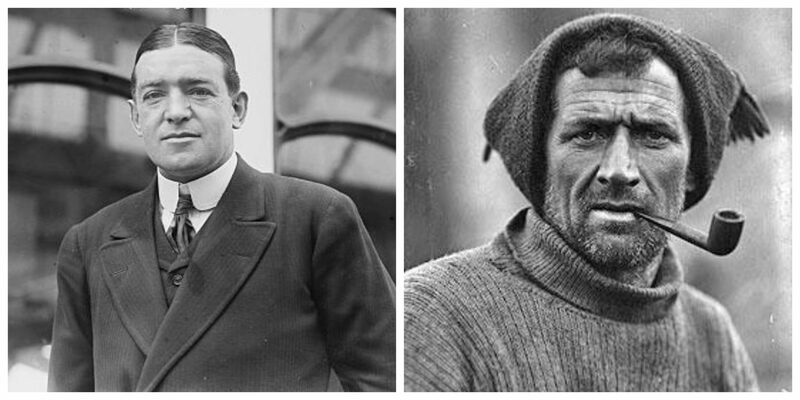 Relatively little was known about his time in Ireland and so I was on a mission to discover as much as I could to build a picture of the man outside of his Antarctic exploits. To do this meant scouring the archives again and I found some wonderful resources. Among the most valuable and accurate of these are the first-hand accounts of those who knew him and I was fortunate to stumble upon the work of oral historians, Maurice and Jane O’Keefe, who had recorded interviews with a few people who did know Crean. One of these being his Crean’s Godson, John Knightly – the joy in his voice when talking about his Godfather Tom Crean, conveyed a relationship he treasured and missed and it was a pleasure and a great privilege to have been able to transcribe some of those lovely memories for my book. I feel really proud to have documented the story of my hero and hope that it generates more fans to the overall aim of winning him national recognition but above all I hope his story helps to inspire people to undertake more selfless acts (or as I’ve re-christened them ‘Creanish Things’) by coming to the assistance of others when they most need it. There are four chapters dedicated to his incredible acts of bravery in the book and as phenomenal as they are, they don’t define the man. There was a lot more to Tom Crean and my mission was to paint that picture as complete as I could. There is a natural ending missing though and that chapter lies in wait for the day Tom Crean is finally given the recognition he deserves. Below, one of the images I uncovered in my research. A wonderful and rare photo featuring Tom Crean, never comfortable in the spotlight, peering out from behind Hussey and his banjo, taken in 1920 at the Royal Philharmonic Hall on the occasion of the centenary lecture given by ‘The Boss’ Shackleton, who sits left beside Frank Wild and Frank Worsley. A century-old image featuring Tom Crean that was uncovered during research for the book. The Story of Tom Crean deserves a fitting end. Hi. I have just finished reading Crean and I have to tell you that I just loved it. Beautifully written. Thank you and congratulations for capturing the essence of the man and the times that he lived in. A fantastic book and difficult to put down. You have done yourself and Tom’s memory proud. Thank you for writing this amazing book to share with the world! 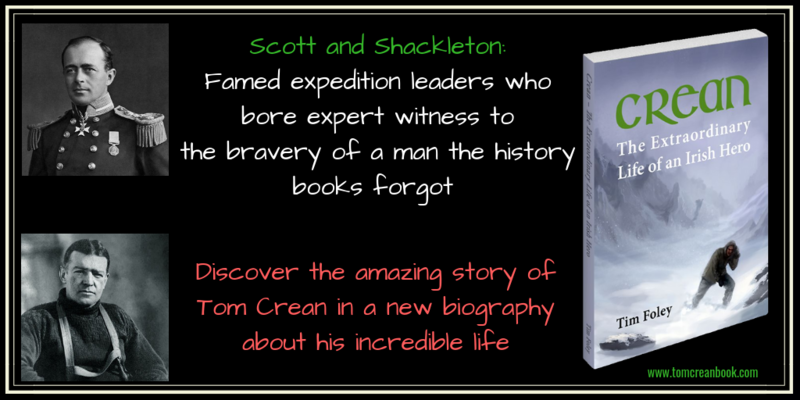 Absolutely amazing book about #Tomcrean – Antarctic explorer who served under #Shackleton and Scott, saved many lives and a Kerryman Irishman. Well done author Tim Foley. Makes me proud to have Irish DNA Thank you for writing this amazing book to share with the world! Love that you haven’t rehashed things. Love that you haven’t rehashed things. Lots of nuggets I didn’t know. I got the book for Christmas, a fantastic read, thanks. He was some man. A real hero. The return of Tom Crean and Elephant Island survivors.